Original article can be found in SF Gate. While African Americans make up less than 6 percent of San Francisco’s population, they account for nearly half of all people arrested for not paying traffic-related fines or fees, according to a new report written by a consortium of legal groups including the Lawyers’ Committee for Civil Rights. The report, released Monday, found large racial disparities among those police arrest for not paying a traffic ticket, failing to appear in court regarding a traffic infraction, or driving with a suspended license in San Francisco. While a host of factors may account for the the differing arrest rates, the legal groups allege that such racial disparities have a disparate impact on low-income drivers who may not be able to afford to pay traffic tickets, resulting in over-incarceration and undue financial and social stress. 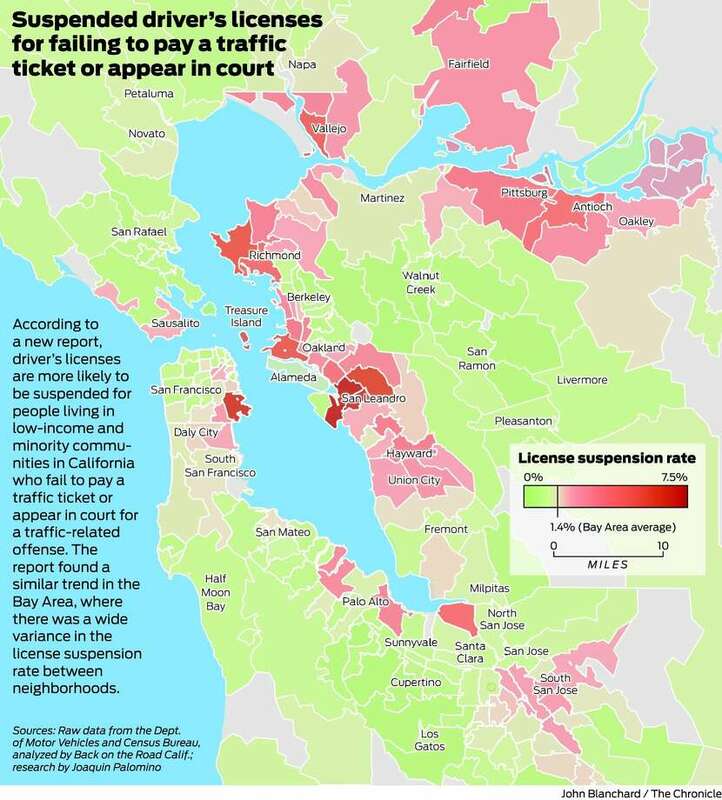 “It’s creating a two-tiered system where some people get a ticket, send in the money, and it’s no big deal, and some people end up in handcuffs,” said Elisa Della-Piana, legal director of San Francisco’s Lawyers Committee for Civil Rights. After protests in Ferguson, Mo., in the wake of the police killing of an unarmed black teenager, the U.S. Justice Department criticized that city’s Police Department for suspending driver’s licenses and arresting people for failing to pay traffic tickets. The American Association of Motor Vehicle Administrators has said that suspending licenses for failure to pay or appear in court is not a good use of resources and undermines public safety, according to the report. The report’s findings for San Francisco were based on data from the city’s Sheriff’s Department and the California Department of Motor Vehicles. The group found that just under 50 percent of the 855 people arrested for not paying a traffic ticket or failing to appear in court for a traffic-related infraction were African American. By comparison, roughly 19 percent of people arrested were Latino, and 23 percent were white. About 9,300 people were arrested for driving with a suspended license. Of those, 45 percent were African American, 41 percent were white, and 10 percent were Latino. People whose licenses were revoked for reckless driving or after receiving a DUI were excluded. Not everyone accused of such offenses is arrested. For such infractions, police can also issue a warning or citation, or have the driver’s vehicle towed. The report attributed the high arrest rate partially to disproportionate traffic stops of black and Latino drivers. A separate Chronicle analysis of SFPD data found that between 2013 and 2015, 16 percent of all people stopped for violating a traffic law were black; a proportion 2.5 times higher than population estimates. African American and Latino drivers also were far more likely to be subjected to certain types of searches after a traffic stop than white and Asian drivers. San Francisco Police Department officials said they could not comment on the report’s findings until they had a chance to thoroughly review it. The report did not specify which departments — SFPD, sheriff or California Highway Patrol — made the arrests.